A de luxe shelter now being built at Wimbledon with servant quarters is fitted for 25 persons. Reinforced with 400 tons of concrete, its curved top might even deflect a direct hit. It is entered through three splinter-&-gasproof doors and two airlocks where clothing may be decontaminated. Air duct and pump clean air, keep inside pressure up, gas out. Servants’ quarters! Not only are there servants — in uniform — but the occupants/guests appear to be in evening dress. 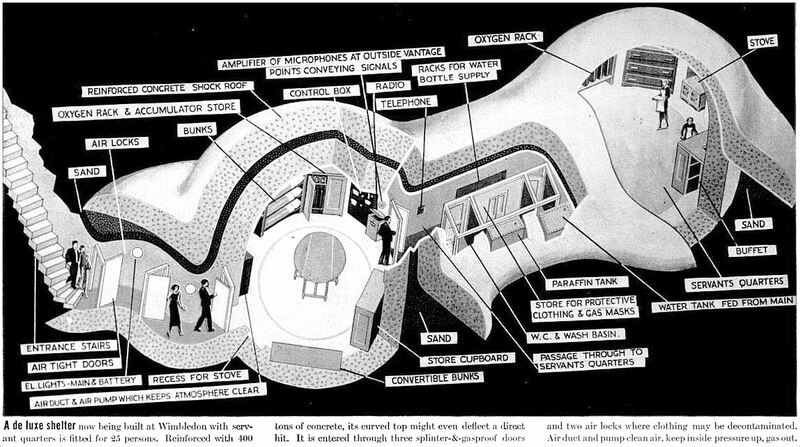 If you’re going to have to spend time in an air raid shelter, you might as well do it in style, I guess. 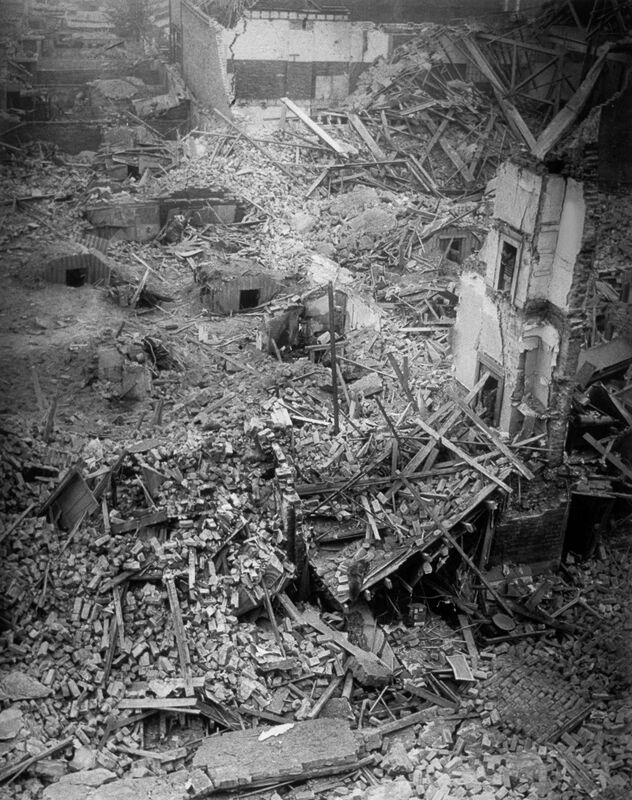 Britain was a prime target for German air raids, and it became a regular occurrence for city dwellers to take refuge in one of the public shelters (the underground subways in London, for instance) or for families (with pets in tow) to head for their backyard shelters when the sirens blared, remaining in place until the all-clear was sounded. 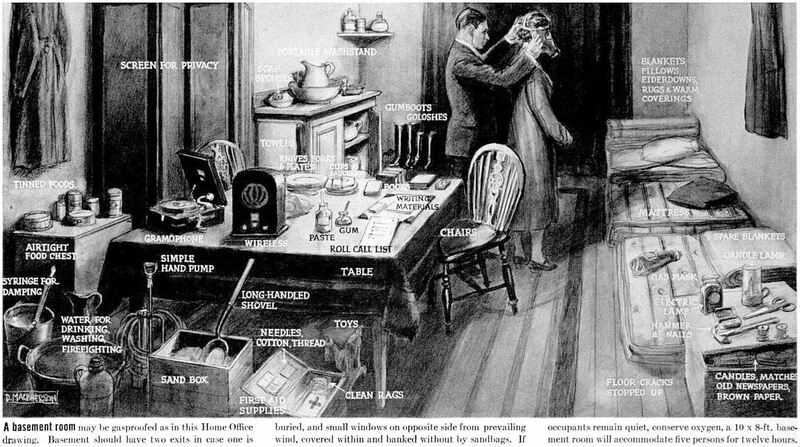 Below are excerpts from three British Pathé newsreels/PSAs intended to help the British people learn to protect themselves from bombs, shrapnel, flying debris, and gas attacks. This entry was posted in 1930s, 1940s, Britain, WWII and tagged WWII. Bookmark the permalink.